All eBooks you bought from Amazon Kindle Store are DRM protected as usual. You may want to Circumvent DRM from them and it is not piracy because you or I may really like to read them on iPad or any other devices. Honestly, what I am excited about is seeing consumers use the items they have bought in the manner of their choosing with every right to own them and use them freely because they spent real money to buy books that they can't read when they decide to Use Other Devices or for Any Other Reason. This method is working great but It doesn't support all Amazon Kindle Formats so I recommend you also to try Calibre (DRM Removal) Method For Kindle Fire. What is Kindle Fire Unswindle Method? Those books are only supposed to work on Kindle Fire and the various Kindle readers, but with Kindle Fire Unswindle Method you can read them on any device including the iPad, assuming, of course, that Apple doesn't let Kindle Books to work on iDevices because they want people to buy books from them. What type of eBooks are supported by Unswindle Method? This Kindle hack relies on a few Python Scripts to remove the DRM from (.mobi files) eBooks already purchase via the Amazon Kindle Store and the scripts, of course, require Python to be installed.The hack also uses the Kindle for PC application so you will need to run this on a Windows Machine. What do you need for Kindle Fire Unswindle Method? ActiveState's Active Python 2.7 Community Edition for Windows (x86) 32-bit. Kindle DRM Removal (unswindle.py) Python Script. Mobipocket DRM Removal (mobiledrm.py) Python Script. A program that reads ePub files (Kindle for PC 1.0.1). Put everything in the same directory, then use unswindle to remove DRM then open Kindle For PC and convert your eBook to ePuB. How to use Unswindle for DRM Removal? Double-Click unswindle.py (Kindle for PC will open automatically). Select the book you want to convert. When the book loads, simply exit Kindle For PC. A dialog will open asking you where you want to save your DRM-Free eBook so enter the filename with the .mobi extension and save it. 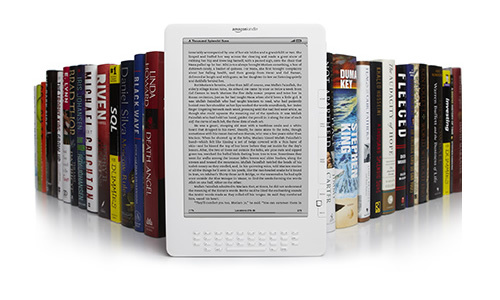 Then you would be able to convert you Kindle e-Books to any other format and save it. If you have already imported DRM books you'll need to remove them from Calibre and re-import them. Download links below have many handy plugins for DRM Removal which also remove DRM of several eBook formats but your only going to use the two python scripts "unswindle.py" and "mobiledrm.py in the python folder for this (Kindle Fire Books) DRM Removal Method.